Italian Ice has become one of the fastest growing and most popular segments of the frozen dessert market. The uniqueness of our Super Premium Italian Ice and our passion for the business will make your trip to one of our shoppess, the beach pushcarts or event pushcarts the most enjoyable Italian Ice experience ever. Sunset Slush - Classic Italian Ice® offers over 50 flavors (including our creative flavor combinations) in our shoppes and our Italian Ice is available in cups, pints, quarts, 1 gallon buckets and 2.5 gallon buckets. We also offer Gelatis at our shoppes - any flavor of Italian Ice mixed with vanilla or chocolate ice cream. 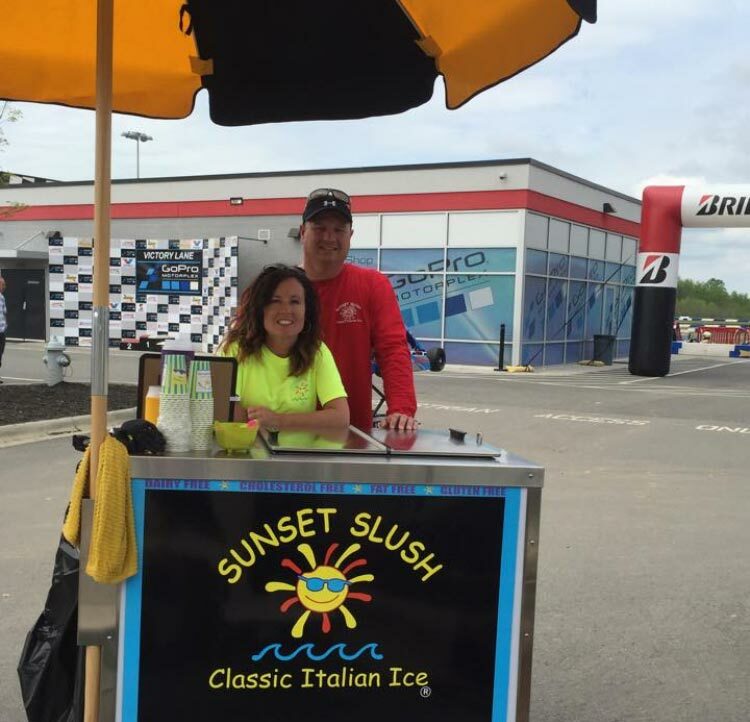 Sunset Slush® is also available for your special event. In 2013, Sunset Slush added a new product line - soft-serve ice cream available in vanilla, chocolate and a swirl of the two; in cones, parfait cups or as a gelati. However you choose to enjoy Sunset Slush - Classic Italian Ice®, we strive to make it an experience to remember. We are celebrating 17 years in business and this is our 16th season serving on Ocean Isle Beach, NC and Oak Island, NC.